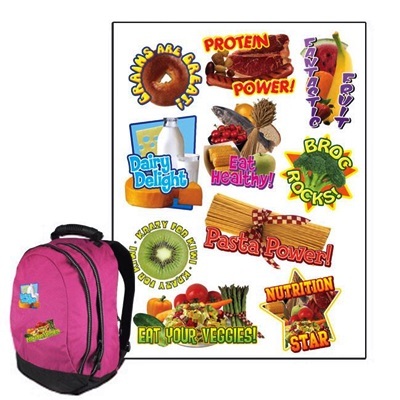 Fun, colorful nutrition-themed backpack stickers. Stickers are removable. Size: 3" x 4". Packed 100 per case.